Consumers engage with social media content almost every day, whether from their personal computers or their smartphones, and marketers can take advantage of widespread social adoption. While networks like Facebook, Twitter, LinkedIn and Pinterest often garner most of the social media marketing attention, Google+ has strengthened its presence throughout 2012. In Nielsen’s “The Social Media Report,” Google+ features a rapidly expanding audience. The social network’s U.S. mobile app audience reached close to 10 million unique visitors over the course of this year – an increase of 86 percent from 2011. In comparison, Google+ web traffic soared to over 26 million unique visitors in the U.S., a year-over-year uptick of 80 percent. On a global scale, Google reports that over 500 million people have upgraded their accounts to Google+, 235 million are active across Google and 135 million are active in the social stream. The company notes that Google+ is the fast-growing network “thingy” ever. The company notes that Google+ is the fast-growing network “thingy” ever. Marketers may have overlooked Google+ for quite some time, but the network recently revealed two new features that make reaching people across the site easier than ever before, and brands must take notice. 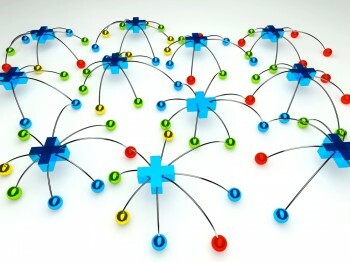 Google+ communities: Where do you fit in? Google announced its Google+ Communities feature that provides users with places for them to discuss their passions online. The network provides public and private membership access to support all kinds of groups, so no matter the focus, users can create a place to call their own. More, Google+ offers discussion categories to help users find conversations they care about, with the option of starting hangouts within these communities. The second major feature Google+ has unveiled before the holidays is the results of its working partnership with Nik Software. The search engine giant announced that Nik Software’s Snapseed mobile application will now be available to Android users, and easy sharing access to Google+ is its top feature. 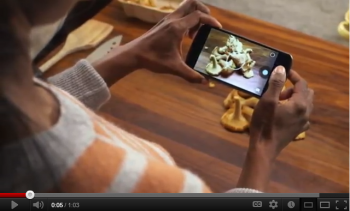 Users can adjust their photos, add creative filters and share their posts across Google+ and various other networks. As Google+ improves its social features, marketers must begin to engage with the network’s growing audience by posting custom content that encourages sharing and +1s. The Google network can help brands further establish themselves across numerous channels and build rapport with prospective and current customers.